Sophistication through striking simplicity. The Trillion Diamond Necklace features a single prong-set trillion directly soldered onto the chain, ensuring security that doesn’t compromise the eye-catching nature of this diamond shape. Pair with our Trillion Diamond Earrings & Trillion Diamond Ring. 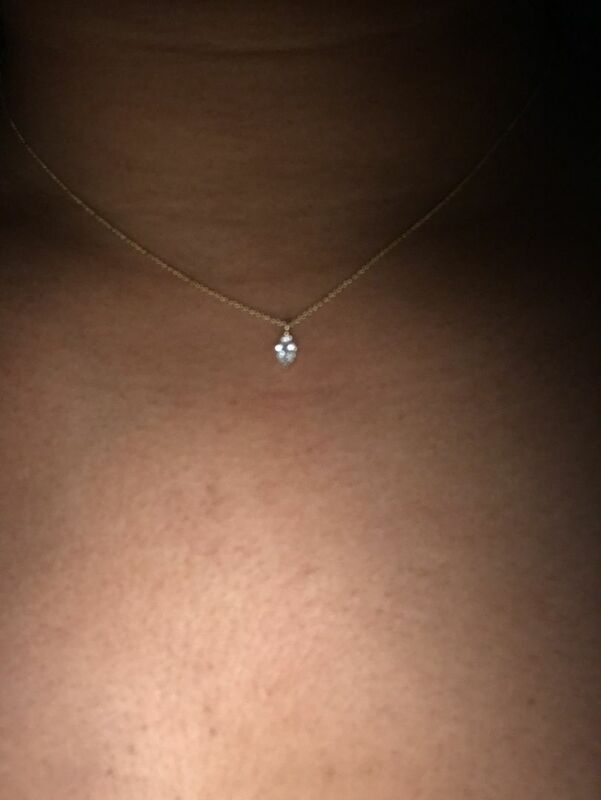 Sherrice K. Reviewed by Sherrice K.
Kendra H. Reviewed by Kendra H.
I bought the necklace for my daughters 26th birthday. She loves it and wears it everyday. Dara G. Reviewed by Dara G.
Nothing but good things to say about my pretty and delicate new necklace!!! Love it, and loved that I received in 4 days!